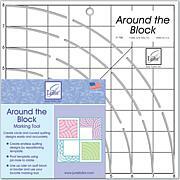 Around The Block Ruler - 8" x 8"
JUNE TAILOR-Get Squared is two rulers in one. 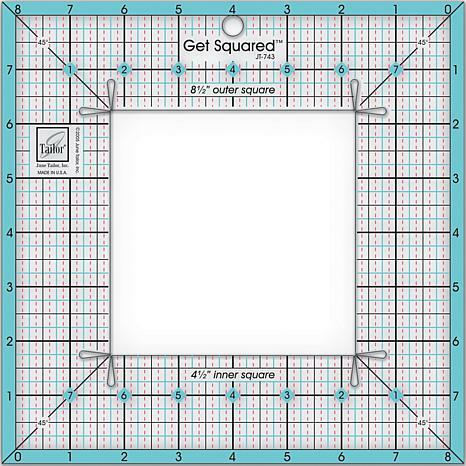 This unique design allows you to square up a large and small block in one easy step. 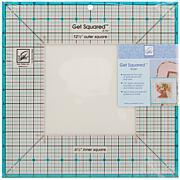 The inner square can also be used for fussy cutting. 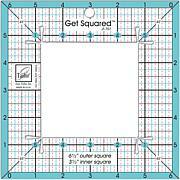 The outer ruler measures 8.5 and the inner ruler measures 4.5. Made in China.